We invited Professor of Practice, Dr. Pekka Mattila to a suite to tell us why a luxury hotel resembles an art museum. Hotel St. George has two entrances. One is meant for hotel guests who check in at reception and hear about the hotel s art collection, history and holistic approach to wellbeing . The other entrance for those wanting to remain unseen in the hotel s public areas is used less frequently. Hotel management does not tell us who has entered through those doors, but apparently they have been in use. A possibility to remain anonymous is part of the hotel s services. Today, we enter through the main doors of St. George. Instead of hiding, we are here to take a tour around the hotel with Pekka Mattila. He has researched luxury and is happy to spill the beans on what luxury-seeking consumers du jour are after. Representing so-called neo-luxury, St. George in downtown Helsinki is the perfect spot for a tour: it is advertised as luxury of a new era, born from a desire to redefine the vision of a luxury hotel. “St. George exudes a surprising, understated, elegant luxury”, the hotel’s very own traditional broadsheet-sized newspaper describes. Mattila arrives with his dog Shurik in tow – a cute and gentle former rescue dog from St. Petersburg. 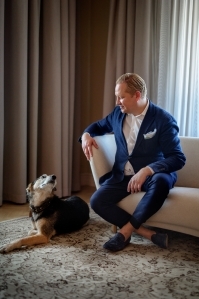 The hotel’s Marketing Manager Heta Kärki and General Manager Roni Huttunen assure us that bringing the dog along is “absolutely fine”. Such luxury! Two expensive hotels can be used to illustrate the difference between traditional and new luxury. Traditional luxury is something everyone recognizes for what it is: glamour, gold, velvet, caviar. The symbols are easy to read: golden chandeliers, attentive service staff, top-notch cocktail bar, à la carte restaurant with silverware. A neo-luxury hotel is less pompous. It is not keen on being a five-star hotel, but beyond the reach of star ratings . Instead of glitz and glamour, its uniqueness stems from tailor-made wellbeing services, individually chosen materials, and increasingly also art, which customers are expected to understand in order to appreciate. Experience take precedence over material goods – which does not mean that the material side has been overlooked, either. Mattila mentions his aunty, who worked in the Finnish fashion industry and insisted on always meeting her international business partners in certain hotels to make the right impression. If the particular hotel in Milan was fully booked, they could always arrange to meet in the hotel restaurant. “Luxury is connected with competition and social comparison”, says Mattila. “When any bumpkin can buy themselves a pair of Gucci sunglasses or even a really expensive car, competition moves to the sphere of taste, just like nobility used to compete with etiquette.” Competition could mean buying a new expensive car – which is also low in emissions. It can offer a way to set oneself apart and feel superior over those only interested in money. Neo-luxury hotels have elements that enhance one’s self-worth as someone who enjoys different things than the middle class or uncivilized wealthy people. St. George houses a Monocle store and computer-free café. Instead of digital devices, rooms are equipped with bookshelves with classics from second-hand bookstores. Some time ago, a 24/7 Internet connection was thought of as a luxury service. Now the world’s most exclusive railway journeys in South Africa pay homage to the 1930s, with passengers agreeing to stay offline. “Identity has two sides: self-identity, which we work on by boosting who we are – and showing others who we are and what our status is”, says Mattila. Many people will post pictures of their social media -free railway journey afterwards; otherwise no one would know about the achievement. We set off on the tour, opening up our senses to luxury of a new era. The lobby or entrance gallery of St. George features the piece Tianwu by Chinese contemporary artist and activist Ai Weiwei. The silk and bamboo work of art was made using traditional Chinese kitemaking methods and displays many features of luxury. Firstly, it is a work of art, an experience in itself, but only for those in the know. Secondly, it is rare: Weiwei s artworks are rarely on display in public spaces and even more rarely in hotels, but only in art galleries and private art collections. A work of art with a story also goes hand in hand with luxury. 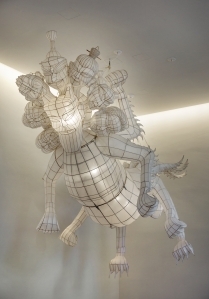 Weiwei s Tianwu and other artists behind artworks at the hotel are presented in the Art of St. George magazine. A connection is made between art on display at the hotel and Helsinki s art and architectural history: we are in the city of Alvar Aalto and Eliel Saarinen and at the heart of a luxury trend. The premise of art is that materials and production costs do not correlate in the least with the price of the work of art. Luxury seeks the same: a night at a hotel can cost anything between heaven and earth, as it is intended as an experience for only a few – and experiences can cost anything. A hotel is not a place to sleep, similarly to the work of art by Ai Weiwei not being a kite. Many luxury brands aim to systematically attain the status of art. Luxury stores are similar to art galleries. Objects are placed far apart from each other like paintings or sculptures, and boutiques arrange art exhibitions or classical concerts. The stores want to resemble art in the eyes of consumers. Head designers and founding families of luxury brands are coined as great artists rather than steely business people. Consumers who emphasize post-material values – or pose as doing so – can purchase and use art-packaged luxury without a guilty conscience. Researchers often talk about the artification of luxury. Intended to be rare, luxury cannot seek growth merely through volume, so guising itself as art is one way of increasing revenue. Hotel chain owners often aim for growth by including hotels of different standards and price levels under their belt. High-end versions are transformed into an experience far removed from the mundane and reaching for an artistic dimension. 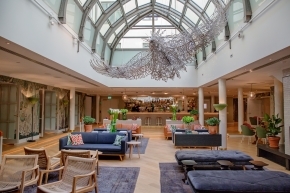 The Wintergarden on the ground floor of St. George is seen as the living room of the hotel, dominated by sculptor Pekka Jylhä s six-meter artwork Learning to Fly. The space epitomizes new literacy required by luxury. ”Here, customers are expected to understand the meaning of quality. It’s what it takes when creating a space that doesn’t look like a traditional luxury hotel”, says Pekka Mattila. He has met up with friends at the Wintergarden and even his dog slumbers as if – well, in his own living room. 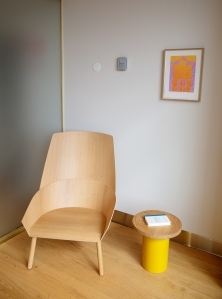 Spaces of high-quality hotels are often open to locals, which according to Mattila is an important feature. “These days, it is essential that a quality hotel is of interest also to locals. Guests appreciate not being left alone only with other slightly lost tourists.” The hotel’s own bakery, restaurant and bars are inviting also to Helsinki residents. The hotel calls them meeting points even if Finns are still not necessarily used to “meet” new people at the bakery. With an ambience akin to a culture salon, the mural-like wallpaper was designed by Klaus Haapaniemi. Lamps by Artek come in a green tone tailored for the hotel. Mismatched furniture is paired with chunky coffee table books on the surfaces. The rugs are from Turkey and the rocking chairs do not whisk to grandma’s house but are distinctly “St. Georgian”. St. George has a creative director, Mirkku Kullberg, and several florists. The breadfruit tree, jade plant, ficus trees and calla lilies in the Wintergarden would be nothing out of the ordinary on their own but exude elegance and tranquility against their backdrop. The Wintergarden has an inventive and fun drinks menu. 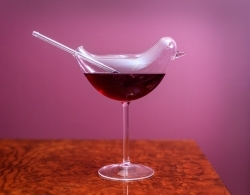 The signature drink inspired by Jylhä s sculpture is served in a bird-shaped glass with a glass straw. 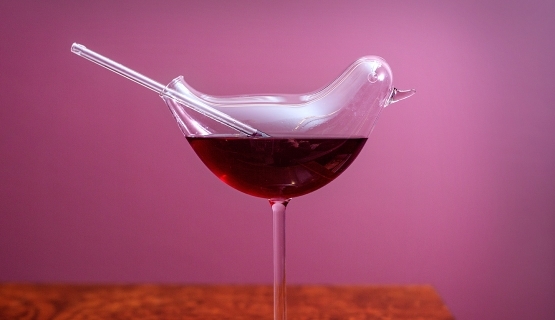 There s plenty of material to post on social media wherever you look, but then someone competing in the sphere of luxury would go through the motions of whether enthusiastically hyping here we are would be cool at all or whether to pretend a drink served in a tailormade glass is just an everyday occurrence. Mattila believes that neo-luxury is a very western phenomenon and philosophy. The Middle East and China value “luxury of the end result”, which means putting money on show, wherever it comes from. “New money comes with a hunger to show off: big symbols, impressive purchases.” For wealthy Asians, luxury is both about setting oneself apart and culturally blending in with a group. A phone needs to be the latest and most expensive model, while the brand (iPhone) still ties in with a group. In the US, it is fine to show one’s riches, as they are thought of as God’s blessing and a sign of working hard. In the Nordic countries – especially Finland – those in the business of selling luxury need to acknowledge that showing off is not the norm. You can down an expensive drink as long as it is served in a “living room”. 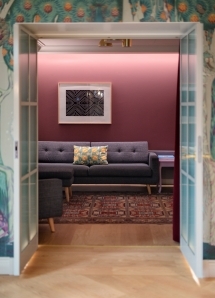 Looking at the salon dedicated to poet Edith Södergran, a wealthy group of Indians comes to mind, who switched hotels in Copenhagen when they realized the five-star hotel had exposed beams on the ceilings. Who would want to stay in an unfinished hotel! Their level of literacy did not quite cover uncoding wooden beams. Similarly, free bikes provided to hotel guests did not do the trick when the group had private chauffeurs back home. Luxury is a loosely used word. “What luxury to be at home again!” you might say after a long trip. Researchers separate luxury, fashion and premium. When a café or restaurant claims to be selling luxury, it is probably selling premium, i.e. top-quality coffee or food. Fashion and high fashion differ from luxury in that luxury is timeless, whereas fashion focuses on a new batch each season, and the more that is sold the better. Luxury is not interested in selling maximum volumes. Louis Vuitton, Chanel, Gucci, Rolex, Ferrari, Dior, Prada, Bulgari and Ritz Carlton would lose status if sold to too many. Luxury adheres to a logic of its special quality being recognized by as many as possible, but only few being able to enter its magic circle. “Luxury is extraordinary for the normal and normal for the extraordinary”, describes Pekka Mattila. The business logic and advertising of luxury items is a world of its own, and often totally opposite to other types of business. Luxury products are manufactured close to home rather than in low-cost manufacturing countries. Luxury is not advertised by telling customers to buy. Unlike for regular brands, advertising is separate from the product itself. Browsing through a fashion magazine or Vanity Fair makes you wonder who can afford the diamonds and watches in the ads – but luxury is also advertised to its non-target group in order for it to admire the target group. Luxury is not manufactured through licensing, and the brand is in full control of the production chain. All customers are VIP, but VIP membership is not granted only based on money. A luxury brand may sell products to people of its choosing. People need to beg and queue for luxury: “Could I buy an expensive car from you?” A luxury brand decides who to invite to its events, defining the right celebrities it wants to be associated with. The price must always go up, not down. Discount sales would reduce the value of the product. It is better to keep a hotel empty than dump prices. Examining old and new luxury makes one think that aren t people a little funny, as they create hierarchies between themselves and others by buying the right color bag for each season – not because they like the color but because they think enough people will understand that a bag in exactly this color is more expensive. Is luxury just status-driven or a question of endless self-assertion? The answer is no. Pekka Mattila reminds that along with identity definition, neo-luxury brings sensual pleasure. The servitization of luxury is linked to post-materialistic values and a rise in ecological consciousness. In their publication Luksus – suomalainen osaaminen kilpailuetuna (2016) (Engl. transl. Luxury – Finnish expertise as a competitive advantage), Satu Väkiparta, Nina Broström and Kristiina Palmgren state that neo-luxury is appealing also to people who are not interested in traditional luxury brands. Hybrid consumers buy second hand clothes and luxury spa treatments. We arrive in St. George’s upper floor suite. Slipping into the silky sheets of the oversized bed is an appealing thought. The soaps, lotions and shampoos give off a luxurious waft, and no doubt the complimentary bar would offer sensual pleasures mentioned by Mattila. The importance of origin began to rise when it turned out that even many luxury brands manufactured products in sweatshops. The watershed moment for Hermès was the crocodile crisis of 2015. American animal rights organization PETA published videos showing crocodiles being skinned at farms claimed to be Hermès suppliers. Many celebrities including Victoria Beckham, who was estimated to own Hermès bags worth 1.5 million, stated they would boycott the label. Singer-actress Jane Birkin wanted her name off the Birkin bag due to the unethical killing and skinning of crocodiles. The price of a Birkin bag is in the range of EUR 20,000-130,000 and the waiting list is several years. In a sense, the shortcomings of old luxury have cleared the way for a new type. Mattila sits on the suite s sofa, while dog Shurik cozies up on the rug, sipping water from his bowl every now and then. This hotel is an interesting in-betweener: neither a traditional grand hotel nor a design hotel , says Mattila. Mattila travels a great deal for work, spending around 200 nights in hotels per year. There have been plenty of great experiences and disappointments. It is annoying for most when the light switch cannot be found, or the designer sink is so impractical that dirty wash water will not go down. No hooks for towels, and not knowing how to switch the lights on and off A stylish design hotel can also be really annoying. When the opening of St. George was still months away and the exact date unknown, an event for introducing the hotel was arranged at Kunsthalle Helsinki. Also Mehmet Gürs, head chef of the new restaurant, was present. Born in Finland, raised in Sweden and trained in the US, Gürs has more than twenty restaurants, but is perhaps best known for Miklan in his hometown Istanbul. In his chef’s gear, Gürs talked to the audience about spices and flavors from his home region of Anatolia that he would be introducing in his restaurant. It’s how stories begin – well before anyone has even tasted the food or smelled the spices. ”Seemingly sparse, aesthetically pleasing, where everything seems to serve a purpose”, describes Mattila. St. George’s restaurant Andrea claims to be fun dining rather than fine dining, separating itself from anything too posh. But it is of course just a promise – or can a meal be fun without good company, a luxury no restaurant can offer? Kim, Kyulim & Ko, Eunju & Lee, Mi-ah & Mattila, Pekka & Hoon Kim, Kyung (2014): Fashion collaboration effects on consumer response and customer equity in global luxury and SPA brand marketing. Journal of Global Scholars of Marketing Science.